The building on Church Street serves a congregation whose roots in southern Richland County date back almost 200 years – to 1822. Originally occupying another structure in the village, the present structure was constructed between 1894 and 1897. Engaging in a “free and responsible search for truth and meaning,” Unitarian Universalists assert no creed but instead are unified by their shared search for spiritual growth, according to Wikipedia. 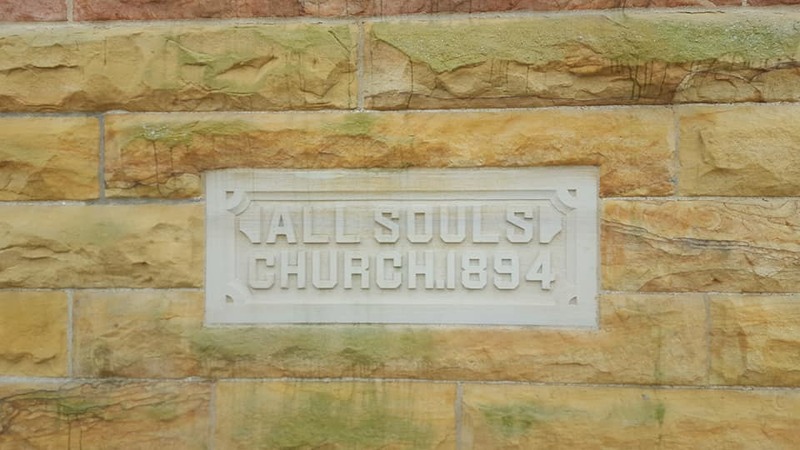 Those goals remain in place at All Souls, which hosts Sunday services and other events. 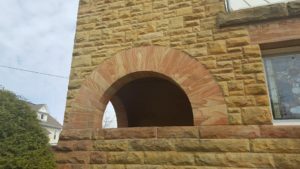 The landmark building is constructed of two types of stone – trademark red sandstone from nearby “Snake Hill,” and other sandstone from “Devil’s Punch Bowl” east of Mansfield, the latter of which was transported in the winter on sleighs. The walls are some 14 to 16 inches thick. Lumber for trim, pews, etc. came from members’ woods. Total cost was $4,000, a number made feasible as members performed much of the work. An exception was made for the stained glass windows, which were imported from Germany at the cost of $25 to $50 each. It has been handed down that the architect for the church building was a D.L. Briggs from Cleveland. No such individual can be found in that city’s professional directories of the time, however, nor can anyone by that name be located in the 1900 or 1910 census who had a similar position. It is very possible that Mr. Briggs had architectural training but was not in that profession, or may have been from Cleveland but practiced elsewhere. The design is clearly Romanesque, a popular style for churches in the late nineteenth century. This is evident from the large stone massing, the corner tower, and particularly the broad red sandstone arched entrance and side recess and the semi-circular topped windows. One of the crowning glories of All Saints is actually inside the building – its unique circa 1873 Felgemaker Tracker pipe organ, which has 396 pipes. 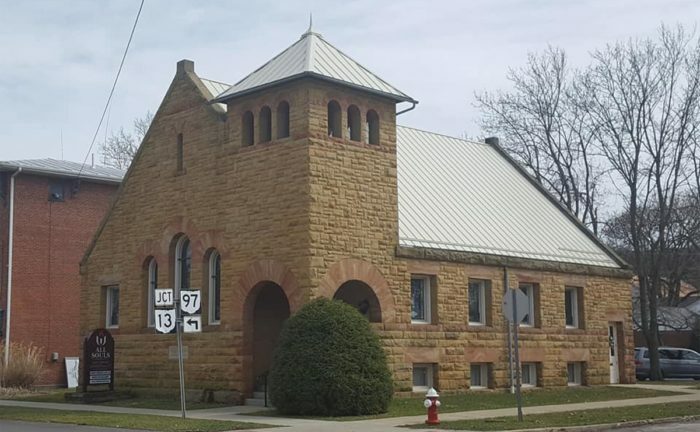 Acquired about 1910 from another church and placed in All Souls, it was shipped on Lake Erie to Port Clinton and brought by wagon to Bellville. The Felgemaker Organ Company was a manufacturer of pipe organs based out of Erie, Pennsylvania. In its heyday, it produced between up to 20 organs per week with a specialty of church organs and smaller organs for schools and residential parlors. Having served the congregation for many years, the organ was in need of restoration by the beginning of the current century. A pledge drive raised $30,000, and in 2001 work began by the James Leek Company of Oberlin. The process involved replacing all worn leather components, a thorough cleaning, and restoring the hand pump mechanism which had not worked since 1935 when the electric blower was added. The front pipes were also repainted. Work was complete by June 2002. Pictures and specifications of the organ can be found at this location on the Organ Historical Society database. 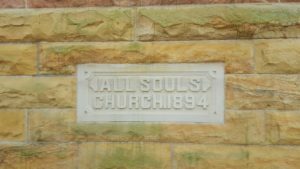 All Souls Unitarian Universalist Church was placed on the National Register of Historic Places on January 1, 1976.